Are you serious about bikes? Oh yeah? How serious? If you’re a little more into cycling than just looking cool on a fixie, Cycles Galleria will be your new best friend. With a range of bicycles, clothing, accessories and expert information, the people there know their stuff – but we're most excited about the Trek Precision Fit System for road and triathlon cyclists. You'll need to be really serious for this. 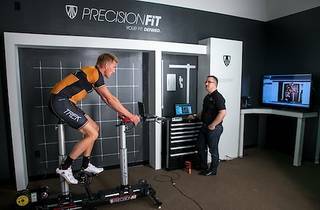 During a three-hour session, an expert fitter will take you through a series of tests and exercises so as to fit you with the best possible bike. This means that you will be able to ride longer, more comfortably, with less risk of injury and be able to achieve your best performance possible. Passing on the left, Cadel. The session will start with an interview, which will discover your fitness levels, riding style and list any injuries you may have procured over the years. Next up is a physical examination, sans bike, where you will be tested on your strength and flexibility. It will also help ascertain posture, range of motion, stability as well as feet, hip, pelvis and knee alignments. After the fitter has gotten a better picture of what you want out of cycling and your strengths and limitations, they will get you to hop on the Fit Bike Pro. It’s now time for you to pedal away, while the fitter will put you on various loads of power. Here, 3D video capture analysis and pedal stroke analysis will help determine what position gives you the most power on the bike. It will even work out whether your left leg is more powerful than your right, or vice versa. 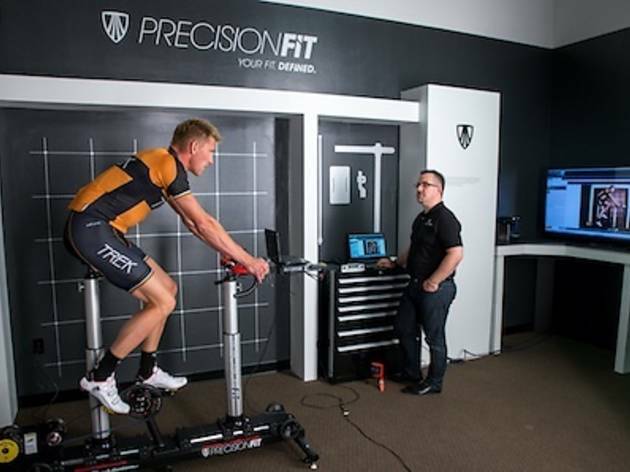 These tests will allow the fitter to establish which position and fit of the bike will give you optimal results and allow you surpass former performance levels. It'll set you back $349 for the three hours.